Real Madrid have announced that midfielder Isco missed El Derbi due to neck and back pain. The former Malaga playmaker was not included in Saturday’s squad to face Atletico Madrid. 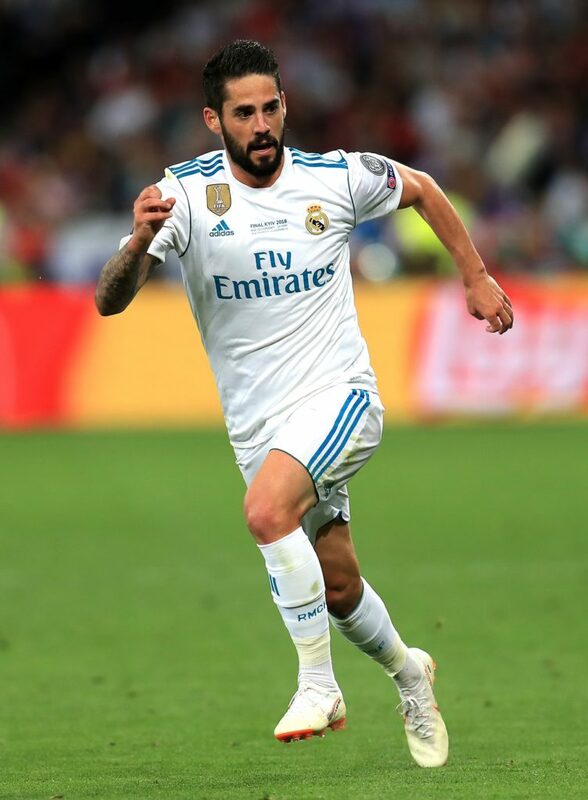 Santiago Solari appeared to claim Isco had not been given his all in training during his pre-match comments. He said: ‘In football, you have to work and put all your talent into everything. You have to do that in training so you are available to play.’ Goals from Casemiro, Sergio Ramos and Gareth Bale earned a 3-1 win over their city rivals, with Madrid taking steps to outline reasons for Isco’s absence.